Namco Bandai has both trademarked and opened up a teaser site for a brand new game in their classic aerial combat series called Ace Combat Infinity. Aerial combat is one of those lost genres nobody really attempts anymore. Too many sub-par entries over-flooded the market and generic looking boxes and titles all but robbed it of any credibility. As for the Ace Combat series, two have been released on current gen consoles. A more traditional Japanese entry in the series, Ace Combat 06: Fires of Liberation, wound up an Xbox 360 exclusive. 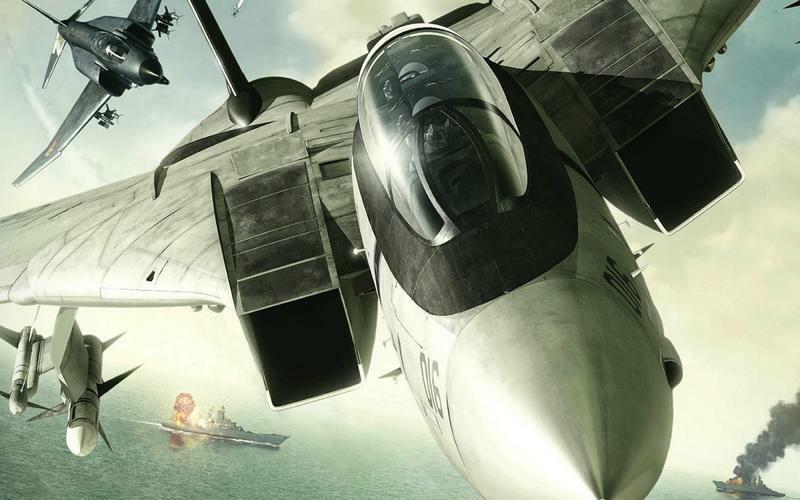 The more Call of Duty friendly Ace Combat: Assault Horizon made its way onto all platforms. Both were met with lukewarm reception, Ace Combat 06: Fires of Liberation gained more for not selling out, but neither got the same level of respect demanded by the PlayStation 2 classics. Ace Combat 04: Shattered Skies and Ace Combat 5: The Unsung War are two of the best flight games you will ever play, if a slightly less realistic approach is your style. Both manage to combine adrenaline rush of dogfights with surprisingly deep Japanese storytelling and music not typically found in the genre. Who knows which category this new Ace Combat Infinity will fall into. Project Aces is back at the helm, and despite its up and down work with the series in the past, consider me excited. Now is the time for a return to form with fresh new consoles to work on.